Marix Tex Mex Cafe is the provider of Mexican food through its restaurants. 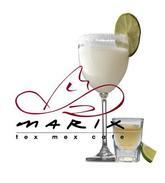 The Marix Tex Mex Cafe has two locations one in Marix West Hollywood and Marix Playa located near beach in Santa Monica. The company also provides margaritas and catering services to its customers during get together, parties, weddings and other functions. The menu offered by the Marix Tex Mex Cafe includes appetizers, salads, sandwiches, fajitas, marix favorites, tacos, burritos, enchiladas, sides, desserts, drinks, and combos. The company also provides happy hours in its restaurants during which they provide special foods at special price. There are currently 0 consumer reviews about Marix Tex Mex available. Share your review. Please take a note that you are about to post a public review about Marix Tex Mex corporate office on CorporateOffice.com. This review will be public, so please do not post any of your personal information on this website. If you would like to contact the corporate offices of Marix Tex Mex, please use their contact information such as their phone number, website, and address listed above to contact them. However, sometimes staff from Marix Tex Mex headquarters do read the reviews on this website.